Amazon Fishing: Is There a Venom Movie Coming or Something? Home » Comics » Is There a Venom Movie Coming or Something? Is There a Venom Movie Coming or Something? 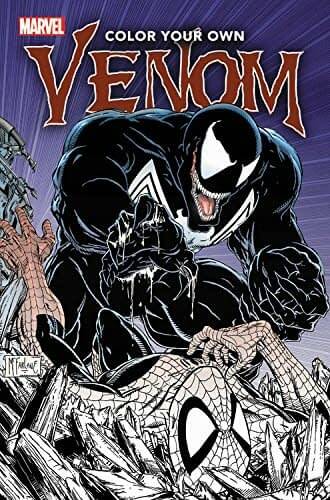 Daniel Way’s tense and thrill-packed Venom run is collected in one volume! Somehow separated from Eddie Brock, the Venom symbiote has resurfaced near the Arctic Circle – hopping from host to host with the greatest of ease and on the run from enigmatic forces with their own agenda for the elusive alien. Ravenously hungry and craving adrenaline to satiate its appetite, the symbiote seeks out people experiencing intense, base emotions like rage, jealousy and hatred. 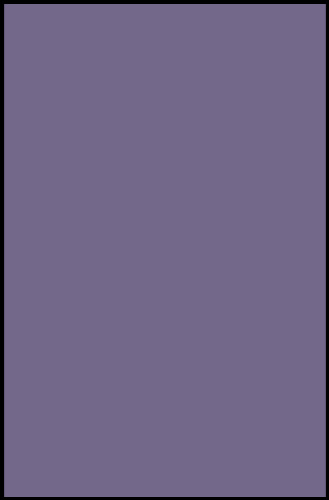 As it cuts a bloody swath toward civilization through Canada’s northern regions, it sets its sights on a short, hairy guy with a bad temper: the X-Men’s Wolverine! And as the action moves to New York City, Spider-Man and the Fantastic Four are forced to play damage control as…TWO bloodthirsty Venom creatures cause havoc?! Heeere’s Eddie! Venom and Wolverine enter the jaws of death! When the two lethal heroes are thrown into an unwilling interdimensional adventure, even in space you’ll still hear the screams! Then, the law finally catches up with Eddie Brock – and Venom goes on trial! But even with Matt “Daredevil” Murdock on defense, what possible verdict could hand Venom a license to kill?! That’s right – Venom becomes a hired gun for the government! But when he targets Ghost Rider and J. Jonah Jameson, Spider-Man must intervene! The bitter feud between Peter Parker and Eddie Brock is reignited – but can Spidey fi nally bring about Venom’s big finish? One of comics’ wildest writers takes on the symbiotic super hero! Flash Thompson, the Secret Avenger called Agent Venom, faces Daimon Hellstrom and the Monsters of Evil in a battle to save his soul! But when Venom’s psychopathic off spring targets the Microverse, Flash and the new Scarlet Spider must put their rivalries aside to handle the madness of Carnage! Venom says farewell to New York and heads to Philadelphia – but Toxin follows soon after. And the pair of lethal symbiotes may unwittingly unleash something even more deadly! 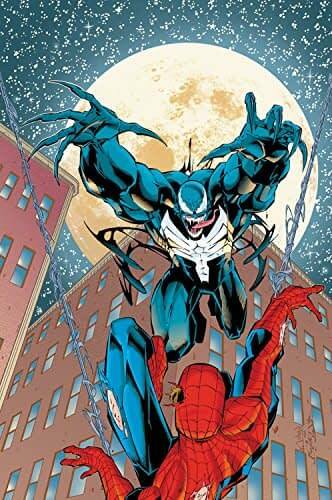 Can Flash battle side-by-side with the original Venom, Eddie Brock, to save the City of Brotherly Love? Plus underworld boss Lord Ogre! The killer called Crossbones! And…a symbiotic sidekick?! Cullen Bunn’s explosive Venom run is collected in full! When Spider-Man gets himself a cool new black-and-white costume, that ol’ Parker luck must finally be turning, right? Wrong! In the ultimate fashion nightmare, the costume is alive – and it doesn’t want to come off ! If Peter can somehow get out of the black and back into the red-and-blues, the poor shunned symbiote will bear a grudge – and when it finds Eddie Brock, who is no fan of Spider-Man himself, the terrifying Venom is born! He’s destined to be the wall-crawler’s deadliest villain. But if that doesn’t work out, he’ll be Spidey’s sidekick instead! 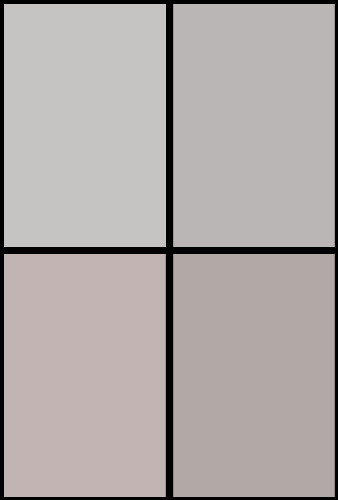 It’s hard to work out which is worse! 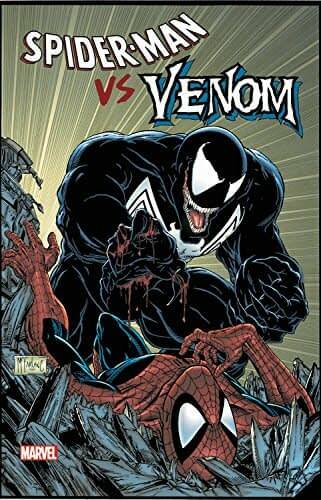 Plus, a rivalry for the ages is born when the Venom symbiote bonds with…Peter’s best pal, Harry Osborn! Fearing the growing influence of his “other,” Eddie Brock takes the drastic step of splitting himself from the Venom symbiote! But the unwitting result is a full-scale invasion of Earth by its alien race! As more and more humans are taken as hosts, Eddie must team with Spider-Man and the Scarlet Spider to save Earth from being overrun. And to do so, they must journey to the Planet of the Symbiotes! But whose side will the Venom symbiote be on? And amid all the chaos, Carnage awakens from his coma – and plans to absorb as many symbiotes as he can! Can our heroes deal with a 50-foot-tall psychopath? It’s a symbiotic sci-fi super hero spectacular! Nothing’s ever truly black and white with Venom! Is he Spider-Man’s fiercest foe, or a lethal protector of the innocent? Villain, vigilante or Guardian of the Galaxy? 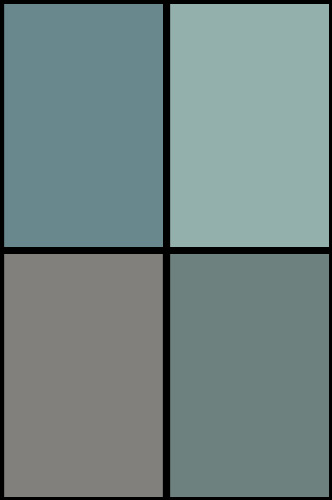 There are many shades to Venom’s world – and now it’s up to you to supply them! The slimy pink of his tongue! The shiny blue of his sinewy muscles! The trail of blood red in his wake! All this and more is waiting for you to color, on 60 pages of vibrant, violent, Venom-ous artwork featuring Eddie Brock, Flash Thompson and others who have shared a bond with the sinister symbiote! 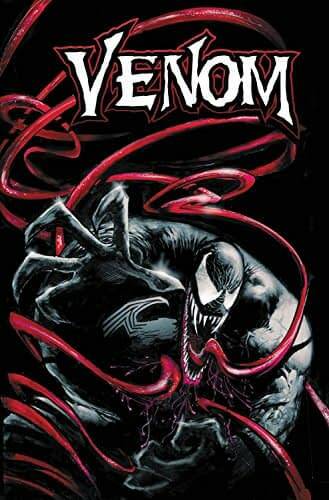 Grab your pens, pencils and crayons and follow Venom from his introduction by the legendary Todd McFarlane, through years of brutal battles with Spidey, clashes with Carnage and his time as a “hero” – right through to the full-on explosion of the Venomverse! On the unlikely day when an embittered, washed-up journalist met a spurned symbiotic organism from an alien planet, a force of evil and vengeance like no other in the Marvel Universe was born: Venom! But was his origin as simple as that? From the saga of the Sin-Eater to the super hero of Secret Wars, discover the events that brought Eddie Brock together with his symbiotic “other” -and the twin corruptions doomed to combine this wreck of a man and jealous monster to form Spider-Man’s deadliest foe! Learn the never-before-seen truth about Venom’s past and the symbiote’s home planet! And witness the moment when the entity blackens Brock’s heart, tars his soul – and sets him on the fateful path of brutal revenge against his hated enemy! Meet Spider-Man’s deadliest foe! The webslinger may survive a mind-bending glimpse at life in the Mad Dog Ward, a run-in with Doctor Octopus and a Chance encounter. But the lives of Peter Parker and his new bride Mary Jane will be turned upside down when his former symbiotic costume and disgraced reporter Eddie Brock combine their mutual hatred of Spider-Man to become…Venom! 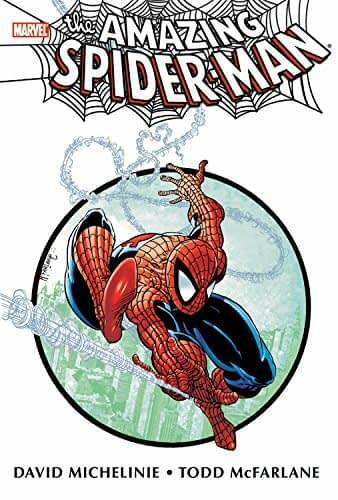 In time for adventures with Silver Sable and Sandman, Spidey returns to the ol’ red-and-blues – but nobody ever drew them like Todd McFarlane! The cunning Fox and the calculating Chameleon await. Styx and Stone will break some bones, and Killer Shrike can hurt you too. But who kidnaps MJ? Plus, the heroic debut of Speedball! It’s Venom vs. Spider-Man once again…for the first time! Eddie Brock takes on a very different web-slinger: Ben Reilly! 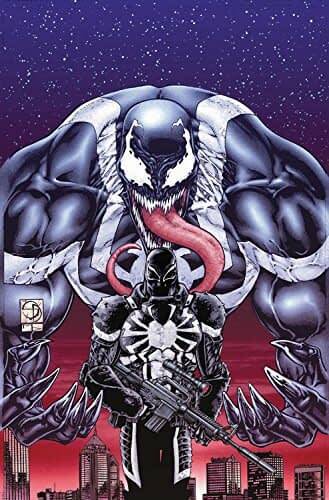 With Venom a wanted man and Eddie’s ex-wife Anne Weying caught in the middle, a deadly rivalry is reborn! And when the symbiote-hunting alien Xenophage targets Venom, this time it’s Eddie’s brain in danger of being eaten! Meanwhile, four imprisoned symbiotes join together to become Hybrid – but how will this unstable new hero be judged by the Jury? And as Venom’s hunger threatens to overwhelm him, can Eddie keep his “other” in check – or will everyone’s favorite symbiote become a crazed cannibal killer? Either way, Venom’s in for a world of hurt – courtesy of Dr. Paine! Okay… How About an Uncanny X-Men #1 for September as Well?